Let’s get started. Contact us at the office to get a competitive quote on your removal. We’d be happy to discuss any concerns you may have about the moving process and work with you to resolve them. Remember, our goal is to make your move as stress-free as possible. No problem. We’ll arrange for a member of our staff to come to your home or office and take a look. Worried about a particular date? Your convenience is our priority. Just tell us what you need. If you have a general question, fill out the form and we’ll be in touch shortly. Awesome experience using these guys. A week before Christmas we moved to Perth from Sydney. A2B picked up my car from work and transported it to Perth in a week. Originally I was given an ETA of 3 weeks. Same for the boxes we had - delivered door to door in Perth weeks prior to advised ETA. My husband and I were super impressed. I shopped around and A2B had the best price. Would highly recommend. Massive thank you to Suraj & the team for organizing my interstate move, couldnt have been more helpful and went smoothly! And big thanks to Patrick & Ian who delivered the goods and moved it all in - really great guys! Thanks very much! Couldn’t recommend highly enough! 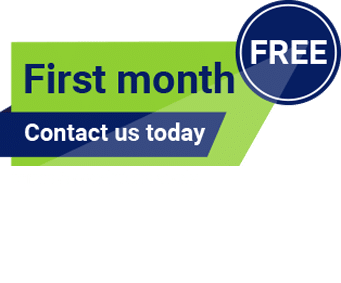 Book a storage with us today and get the first month free! !